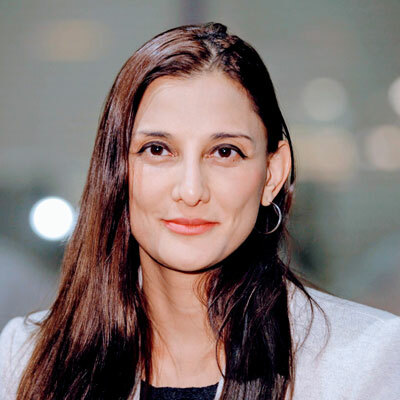 Tashmia Ismail-Saville is the CEO of the Youth Employment Service (YES), a joint initiative between business, labour and government, which addresses South Africa’s youth unemployment challenge, by creating 1 million work experiences in South Africa. She founded Boundless World, which focusses on strategy and innovation, inclusive business models, mobile digital skills and economic and behavioural research. Tashmia is a PhD fellow at UNU-MERIT in Maastricht and adjunct faculty at GIBS, where she has held faculty positions in the field of innovation management and inclusive business. She has extensive consulting experience with a range of global and local businesses such as Unilever, Roche, GSK, Mahindra and the DBSA. Through her business school involvement, Tashmia found and headed the GIBS Inclusive Markets Programme from 2010 to 2016, here, and through her consulting practice, she developed and implemented inclusive strategies and business models for companies, wrote, conducted research and designed learning programmes on economic inclusion, design thinking and innovation. Tashmia co-authored the book New Markets, New Mindsets, which examines successful business practices and strategies in developing markets. She has published multiple articles and case studies on inclusive innovation, ranging from technology-based start-ups in India to rural financial models in Kenya. Recent research, commissioned by C-GAP (World Bank), focused on customer centricity in organisations toward promoting financial inclusion. All her projects have promoted innovation in subsistence markets, job creation, entrepreneurial activity and economic inclusion. For three years, Tashmia worked on an eleven country European Union innovation networks project (INGINEUS) to inform EU policy on global knowledge networks. 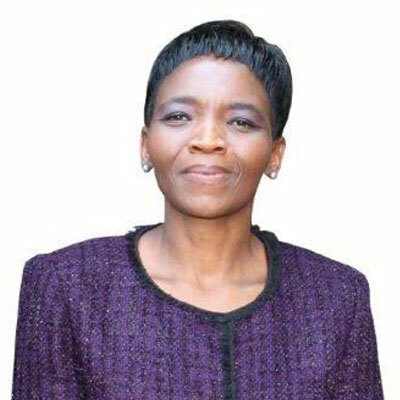 She qualified as a dentist at Wits Medical School and ran a successful surgical dental practice for a number of years. After exiting practice, she completed an MBA at GIBS in 2009. She was the recipient of the Corporate Finance prize and achieved a distinction for her final dissertation on macroeconomic factors impacting mergers and acquisitions in developing markets. Since then, Tashmia has taught and consulted in various countries, including the Erasmus Rotterdam School of Management in the Netherlands and Kelley School of Business in the USA. 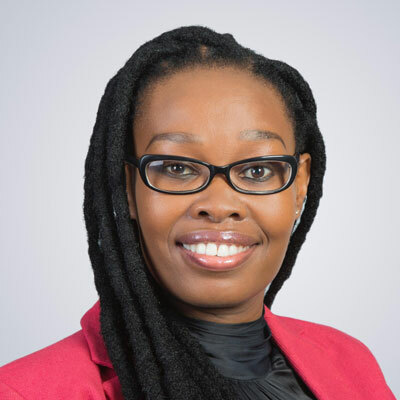 Busisiwe has a wealth of leadership experience in Transformation, BBBEE (Broad-Based Black Economic Empowerment), CSI (Corporate Social Investment), Stakeholder Management, Ethics, Compliance, Environment Management and Diversity & Inclusion. She started her career in the NGO sector, moved to government and then corporate, working for companies such as Impala Platinum, Ernst & Young, BP, Shell and Old Mutual Insure. She is currently an executive at MMI Holdings, heading up Group Transformation. 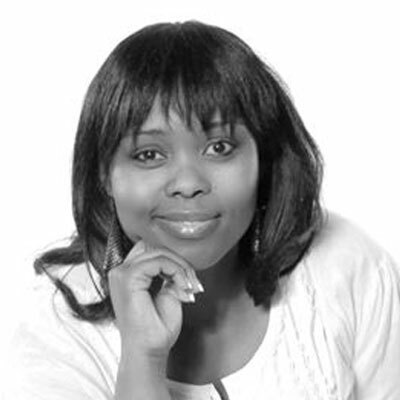 Busisiwe is currently a Doctoral Candidate, pursuing Doctorate in Business Leadership with Unisa Graduate School of Business Leadership, focusing on Economic Transformation. She holds an MBA, Degree in Social Work, and Project Management Certificate, and passionate about economic emancipation of Africans. ✓ Trustee of the UJ (University of Johannesburg) Metropolitan School ✓ Chairperson of Africa Risen Group (ARG), an economic freedom movement aiming at enabling Africans to achieve their economic goals. ✓ Chairperson of Dynamic Women Investment Holdings, a Black-Women Owned investment company. ✓ Non-Executive Director of Z3B Group, a family owned farming business. Busisiwe is married and blessed with 2 children. Her 7 years old son who has Yellow Belt in Karate, thinks she is the coolest mom as she is also a Karateka with a Brown Belt. Mr Carrim completed his BCom Honours degree in Accounting Sciences in 2009. 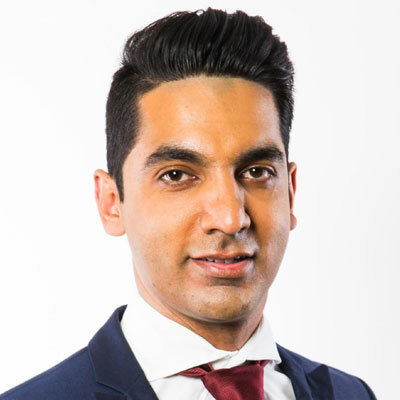 He began his career at the same university as an academic article trainee lecturer and completed his article traineeship with KPMG and was admitted as a member of the South African Institute of Chartered Accountants (SAICA) in 2013. He also holds a Master’s degree in Taxation from U.P. In 2016, Mr Carrim was named one of the Top 35 under-35 Chartered Accountants by the SAICA. He is currently the acting CEO of the Agency. Cited in the published book “Leadership and Agency by Women Engineers in South Africa” authored by Dr Hannelie Nel, Isabella Makuta is lauded as one of the most courageous and insightful contributors towards the attraction and retention of technical women in corporate South Africa. Her qualifications include an MBA from Bond University (Australia); a global executive certificate from Wharton (USA) and women in leadership certificate from Harvard (USA). She is member of the Institute of Directors (IODSA); board member of Sky Sands (Pty) Ltd; Director of UJ’s Women in Engineering & the Built Environment (WiEBE); and President of the South African Forum of Civil Engineering Contractors (SAFCEC). Ms Maisela is responsible for Strategy and Advocacy for the Black Industrialist Policy. She has been with the Department of Trade and Industry for over seven years. She holds a BA degree from the University of KwaZulu Natal and is a benefactor of the Woodrow Wilson Scholarship Foundation. Ms Maisela graduated from the University of Kwa Zulu Natal in 2003, and pursued a post graduate Degree in Public Policy. Ms Maisela, has worked as a strategist for the dti’s Gender and Women Empowerment Unit, where publications such as Enterprising Women, 2011 and Towards an Enabling Environment for Women Economic Empowerment in South Africa. Her career in the transformational space has also included being part of the first two employees to implement the Black Industrialist Policy and its pillars. 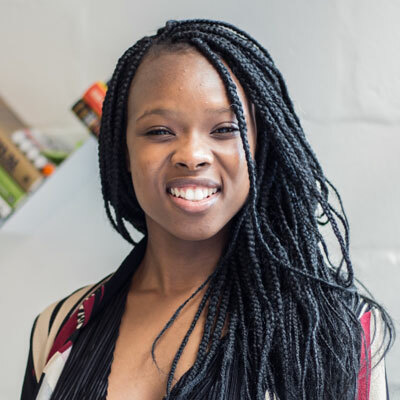 Vuyolwethu Dubese is a proud millennial in media and technology exploring open innovation, entrepreneurship, intelligence and business development. At present she serves as a Startup Partnerships Lead for Africa for Thomson Reuters (data and innovation) Labs which looks at leveraging open innovation to partner with stakeholders, as well as a Youth Perspective Ambassador for the Sub-Sahara Africa region entrusted to deliver perspectives on sustainability and innovation. In May, she also joined Circle of Young Intrapreneurs as a Chapter Lead in Africa, a global organisation that focuses on the convening of social intrapreneurs inside global organizations to empower young people.